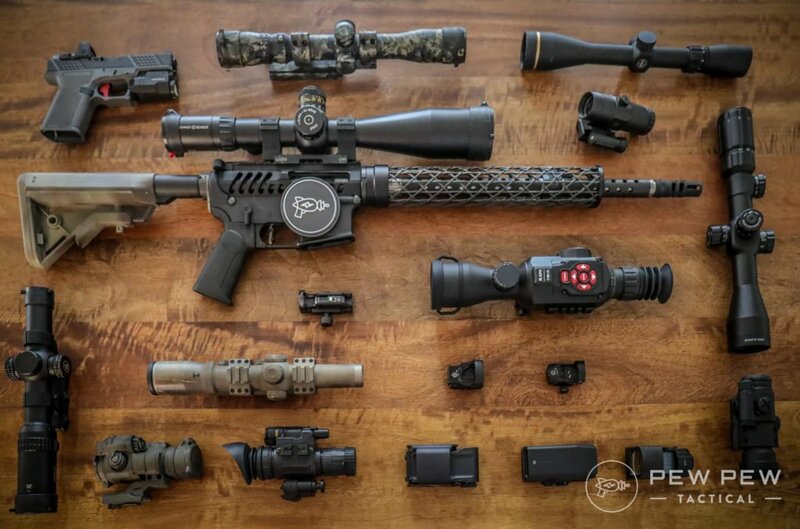 We’ll cover 1x optics and magnified scopes, plus recommended mounts, accessories, and backup sights. By the end of this, you’ll know the perfect one for your budget and end use. 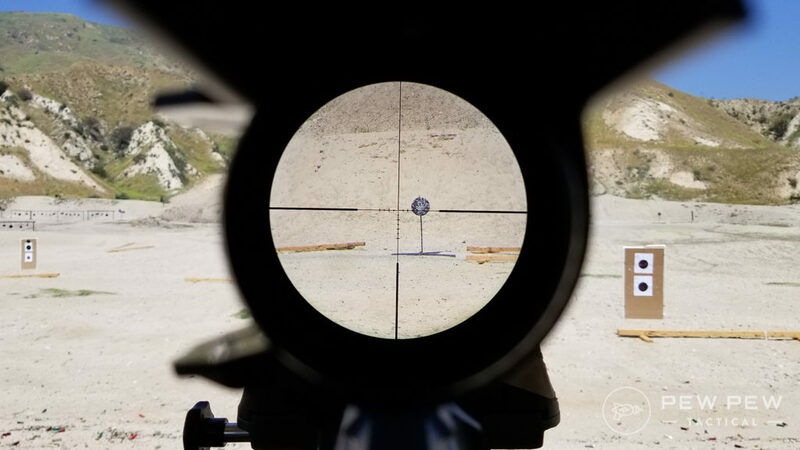 These are “red dots” or “reflex” sights which are exactly what they sound like…they superimpose a red dot as the aiming reticle. 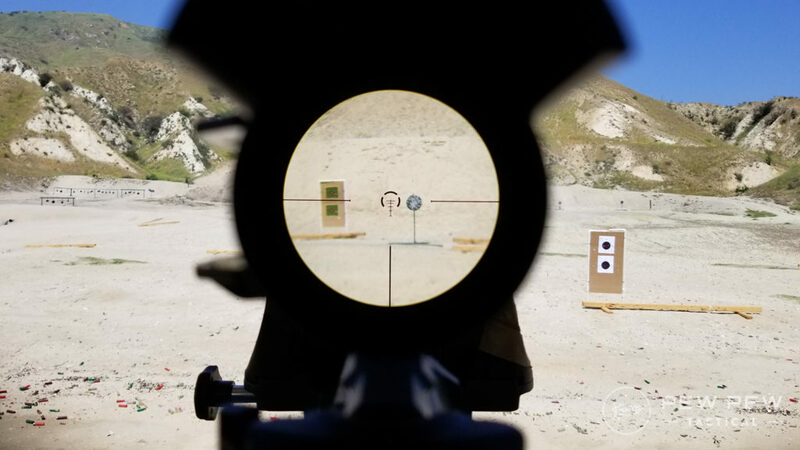 Whereas with standard “iron sights” where you normally keep one eye closed and have to perfectly line up the two sights…red dots allow you to keep both eyes open and have a lot more leeway with where your head or eyes are positioned. 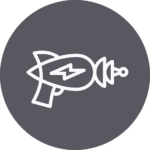 This makes them much faster in acquiring a target and also allows for more peripheral vision. Plus, they are much more useful in darker environments. 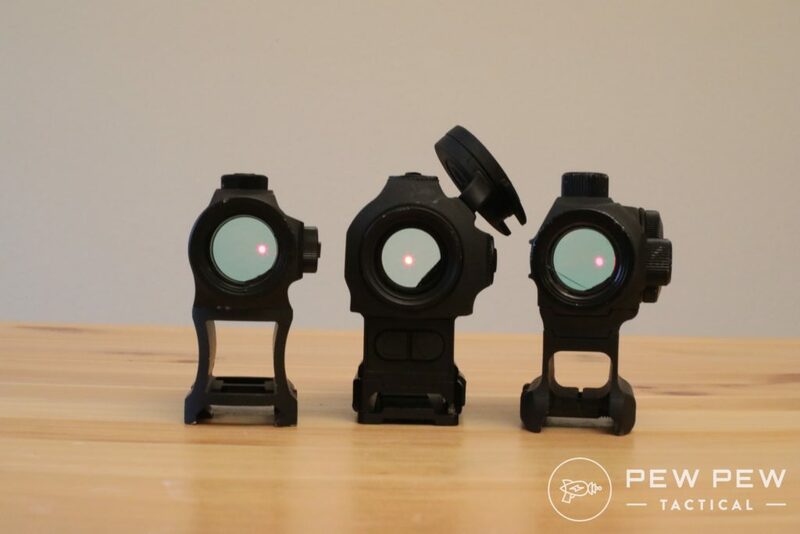 The budget red dot that has a history of great reviews and personal performance. I would caution against going any cheaper unless you are shooting low-recoiling .22 LR. I see plenty of TRS-25’s during rifle competitions and the owners all say that they are holding up well. I used one on my AR (~1000 rounds) before upgrading. Now it’s on my AK-47 pistol and even with the higher recoil of the 7.62×39, it has held zero for over 500 rounds and multiple water splashes. I recommend getting a riser for the TRS-25 for use in the AR-15 for easier target acquisition and especially if you plan on using irons or backup irons. I do not like the riser that comes with the TRS-25 since I broke mine during installation. I recommend getting the .83″ UTG version (save some weight with the slim riser) which has worked well for myself and others (gives co-witness). A more purposeful (and newer) Sparc geared towards AR-15’s. The Sparc AR ($199) is super beefy and can take a lot of punishment with the rubber housing. One great thing is that it takes one AAA battery. The glass is the clearest of the “budget” red dots but has a slightly smaller field of view when compared to the Holosun and Aimpoint Micros. Full review HERE. 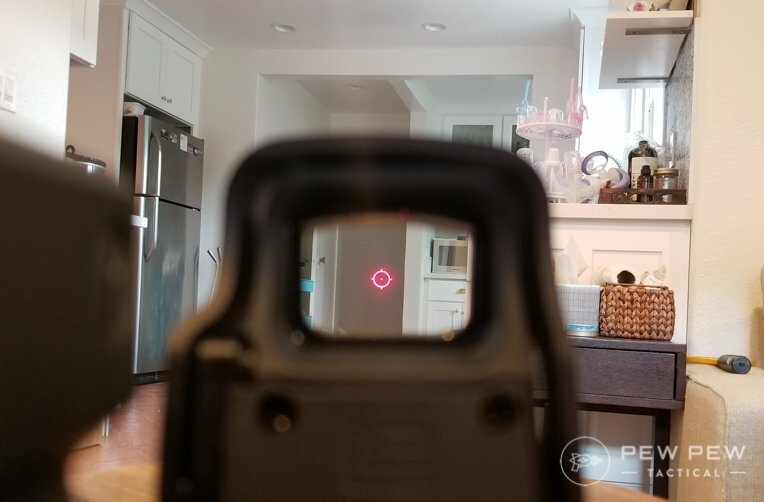 My best bang-for-the-buck red dot that ran head to head against the Sparc AR and Primary Arms in my Best Budget Red Dot Reviews. The Holosun HS403 ($140) has clear glass and a larger field of view when compared to the Sparc AR. It also survived my drop tests and temperature tests. Holosun also makes other models that are solar powered and even some that have two reticles…including one that mimics EOTech. The gold standard of red dots…the Aimpoint. Costs a nice handgun but lasts for 50,000 hours on one battery and is fully waterproof. Also has extreme weather capabilities (around -20 to 140 degrees Fahrenheit). 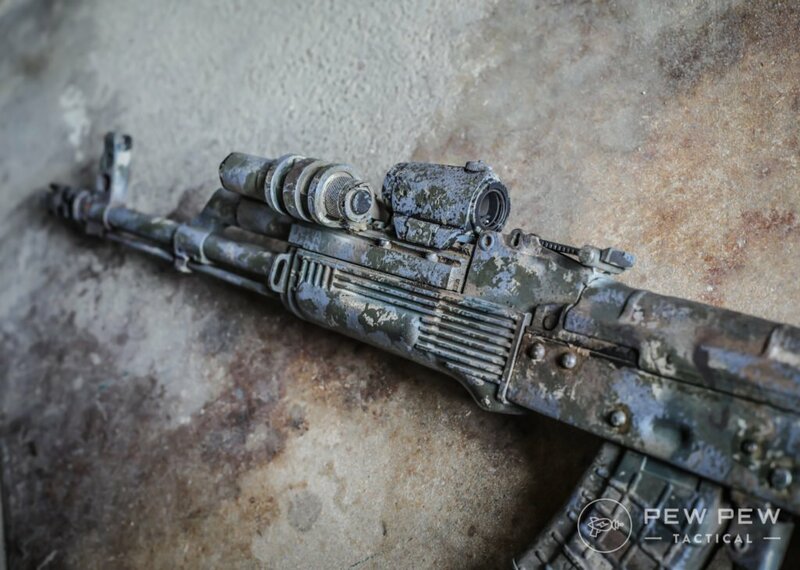 The Micro H-1 what I run on my regular AK where the optic directly sits on top of the gas block which gets extremely hot. Thousands of rounds and still going strong. I would not hesitate to go into something unknown with my Aimpoint H-1. There is also a T version which supports night-vision, but for most people, the H-1 is everything you will ever need. 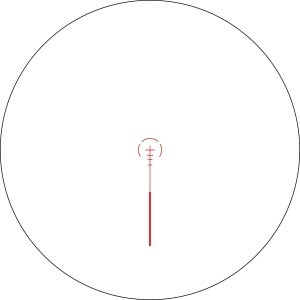 There are two reticle size options…2 MOA or 4 MOA. If you’re mounting on your AR-15, I would opt for the 2 MOA since it’s still plenty good for close quarters but can be useful for farther engagements or if you ever plan on using a magnifier. And for a nice optic…you need a better mount that will hold zero better. I suggest LaRue which is what I use for all my “nice” optics. What I would buy currently for my AR-15 if I did not have the older Comp ML3. The Patrol Rifle Optic ($450) optic is bigger but gives an even beefier enclosure, 3-years of continuous battery life, night vision capability, is submersible up to 150 ft, and better temperature tolerance (-50 to 160 degrees). Plus, it’s cheaper than the Micro and comes with a mount. Check out our full review (with some hammer torture testing of course). For a long time, it was Aimpoint vs EOTech. 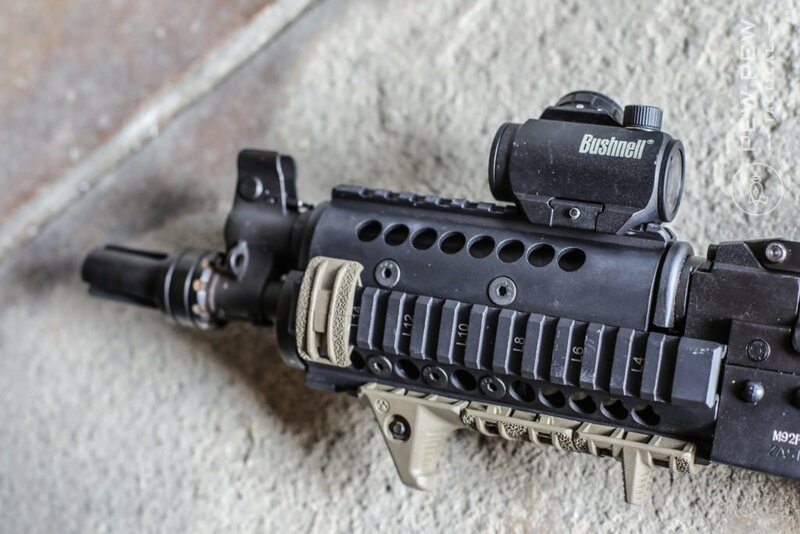 Aimpoint had it’s tubular “reflex” sights while Eotech had it’s distinct “holographic” sights. While the technology was a little different, both were heavily used by the US military and had fervent supporters. 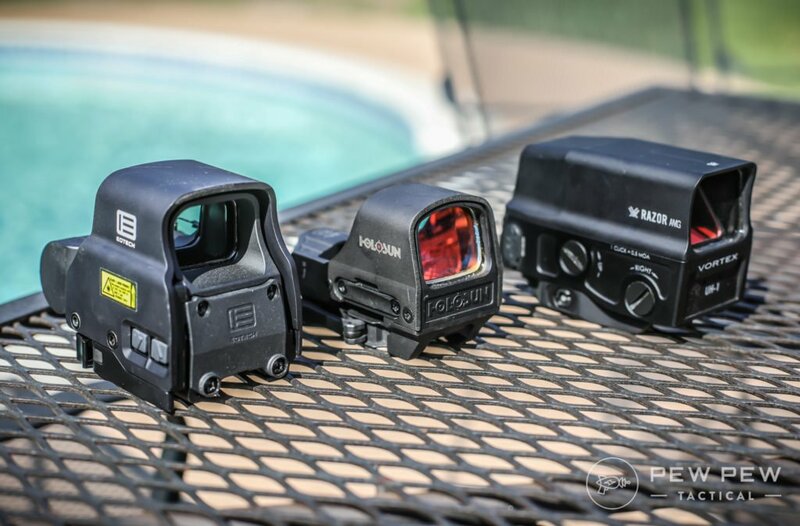 Then a disaster hit EOTech and culminated in a lawsuit from the US Government in 2015 for the sights losing their zero due to hot/cold weather and moisture. 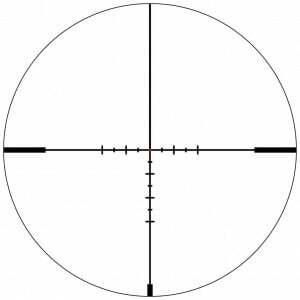 And if you do like the large circle reticle, I would recommend the newer EXPS2-0 ($490) model which allows for 1/3 co-witness with iron sights. It’s the smallest EOTech model currently and has clear glass, 600 hours of battery life, integrated QD mount, and tons of other stuff. 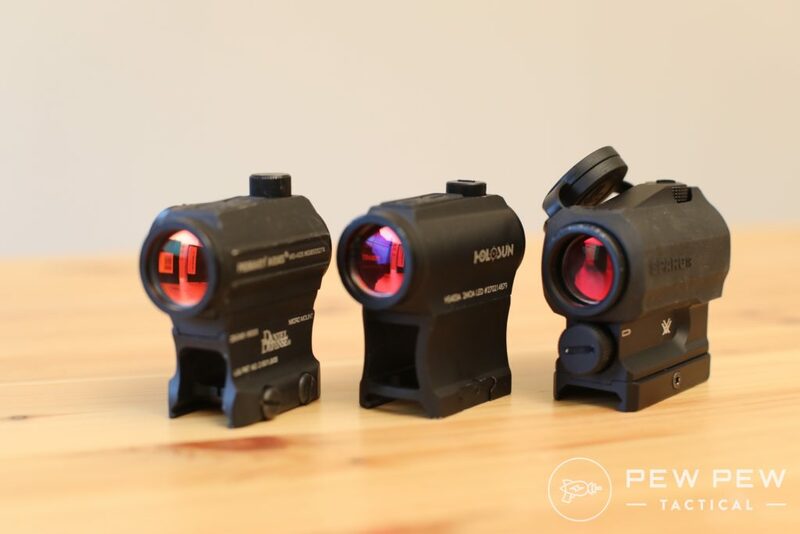 We test this and others from Vortex and Holosun in our Best Holographic Sights article and video below. Complete with video through each one. Plus holographic sights can survive complete destruction to their front lens without skipping a beat. Learn more in Red Dots vs Holographics. 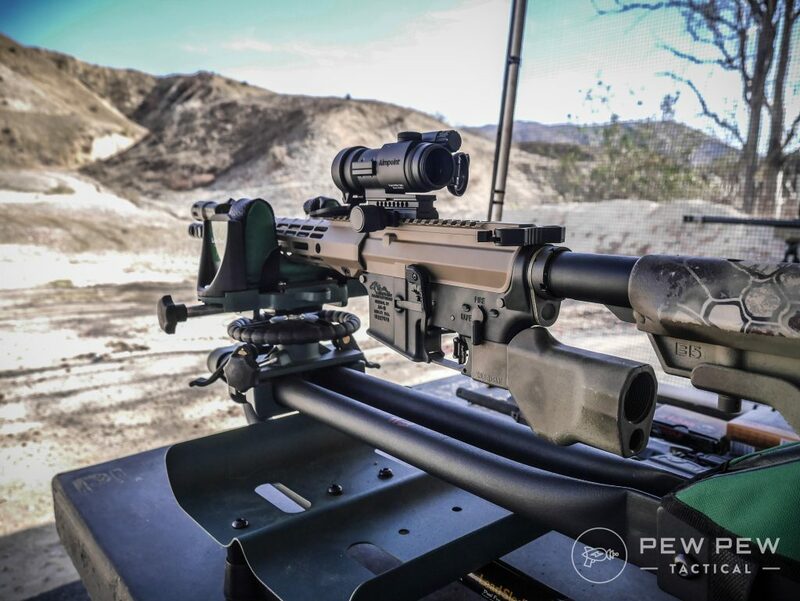 Want the quick target acquisition of a 1x red dot or holographic sight…but still, need to hit out farther? 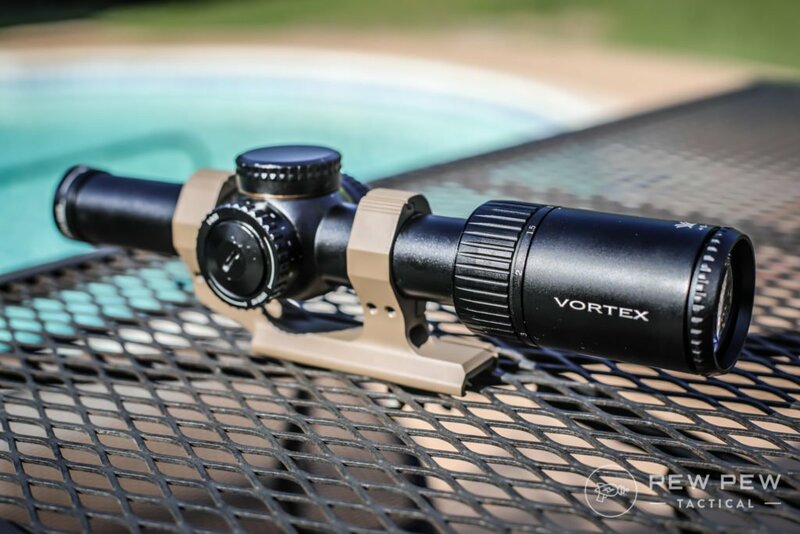 The Vortex had the clearest glass, good eye-relief, changeable for lefties, easy to use mount, slim design, and was the lightest of the bunch. Check how it compared to the competition in our Best 3x Magnifiers shootout. Now we dive into optics with some magnification! We’ll first start with some compact fixed scopes and then onto more traditional variable magnification scopes. A fixed 3x magnifier, this optic is built specifically for the AR platform shooting 5.56 since the reticle has dropdowns for 0-500 yards. Since it’s from Vortex, it has an unlimited lifetime warranty that is fully transferable. The Vortex Spitfire ($350) 5 intensity levels and the ability to choose between a red or green reticle to allow for shooting in darker areas, and comes with a mount. You might need some practice to shoot closer distances because of the fixed magnifier, but the Spitfire is a great optic that I liken to a budget ACOG. Here’s a view through the optic. 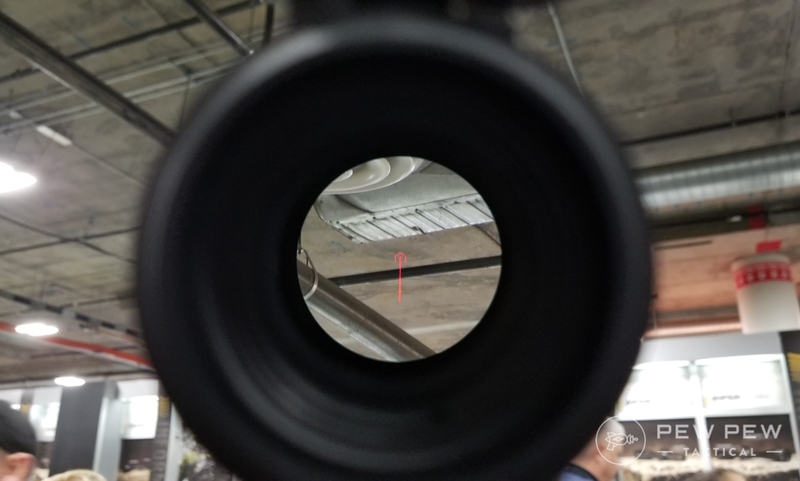 Real-life is crisper…it was hard to get my phone to focus on the reticle especially with the 3x magnification. And here it is with illumination. The Trijicon Advanced Combat Optical Gunsight (ACOG) is battle proven, compact, and basically bombproof. The recommended TA31F version is a fixed 4x magnification and has a reticle calibrated for AR’s shooting 5.56 from 0-800 meters. 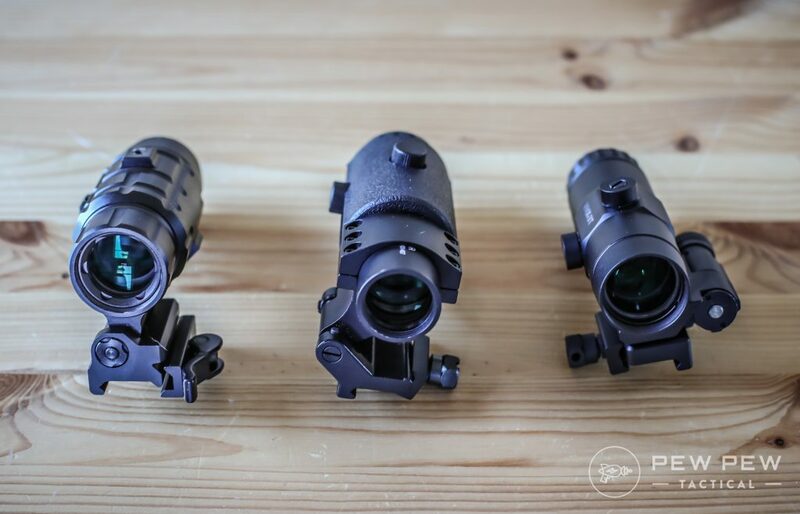 The ACOG is expensive because it combines the best of all worlds…it does not need a battery during the day since its fiber optic system illuminates the chevron (upside-down V) reticle, while at night the tritium lamps take over and are guaranteed to glow for 15 years. I would highly recommend trying one out in person since the fixed sight system is not for everyone. Consider the ACOG or the Spitfire if you’re looking at mostly longer range engagements since shorter distances require some getting used to. 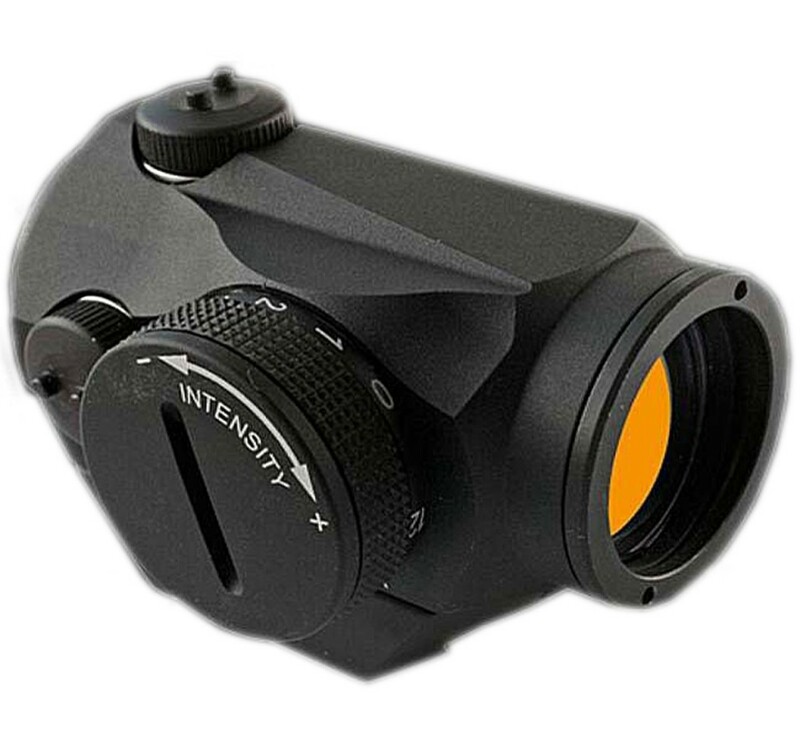 We cover all the most popular models in Best ACOG Scopes. 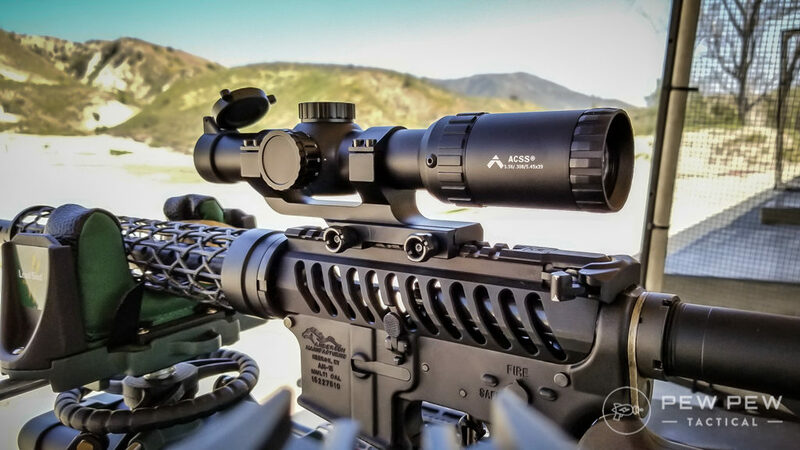 The Primary Arms 1-6x ACSS is the winner of our Best 1-6x Scopes article. 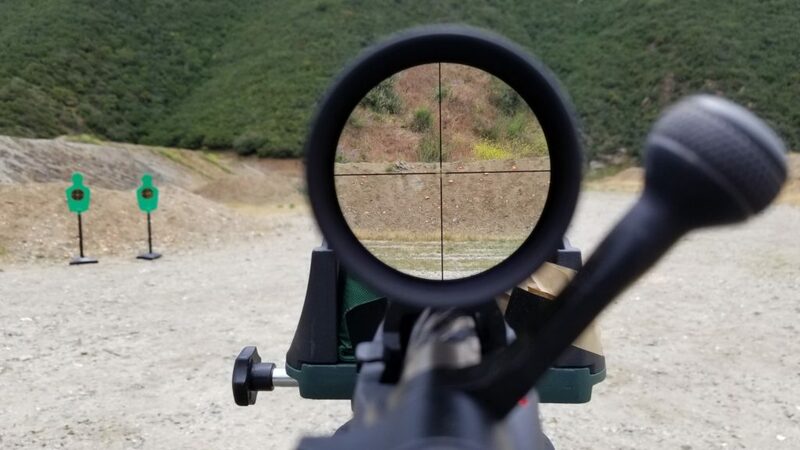 Great glass at 1x plus a sweet reticle they dub the ACSS that has a small reticle for precise shots and a larger circle for close-up targets. 1x is very clear and there’s less distortion at 6x compared to the runner-up Strike Eagle 1-6x scope. See more at Best 1-6x Scopes where we have view-through videos too. When you buy directly from Primary Arms you get a free scope ring. But I would opt for the upgraded extended single piece for ease of install and balance. 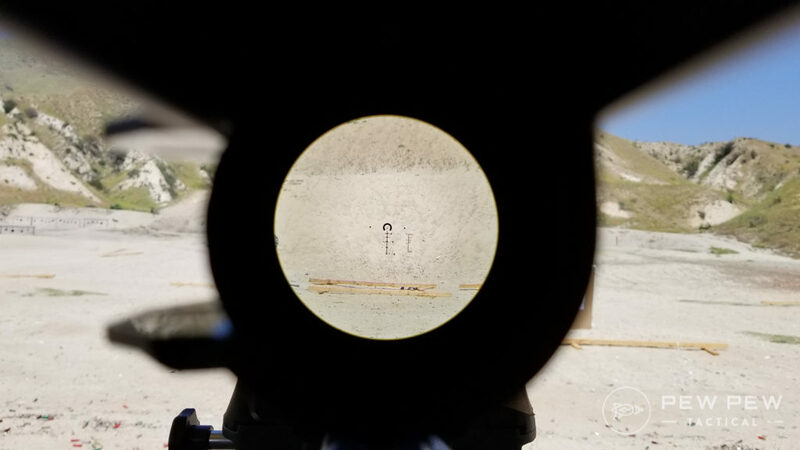 My previous 3-Gun optic of several years which allowed me to much more easily hit the 375-yard targets at my local competition compared to my previous 1-4x TAC30. Very affordable and very clear glass from 1-4x. I can see some hints of distortion at 6x but since I usually only use the max magnification one stage a match it doesn’t bother me. 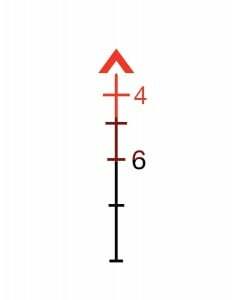 If you’re shooting closer matches or distances, you can just turn it to 3-4x as well to minimize the minor distortion. 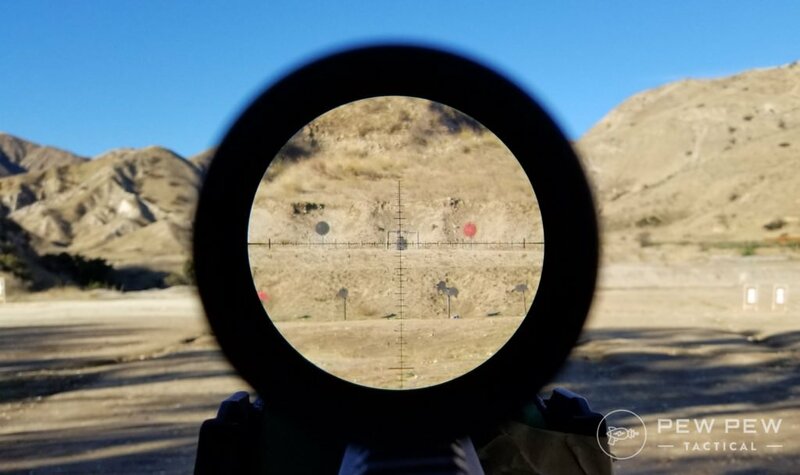 The reticle is pretty good for close-up shots as well as farther shots. I paired mine up with an extended Aero one-piece mount for a super-secure hold and weight savings. Now with great 1-6x scopes under $300…there’s almost no reason to have a 1-4x. But if you really want one…here’s my pick for one with great glass. 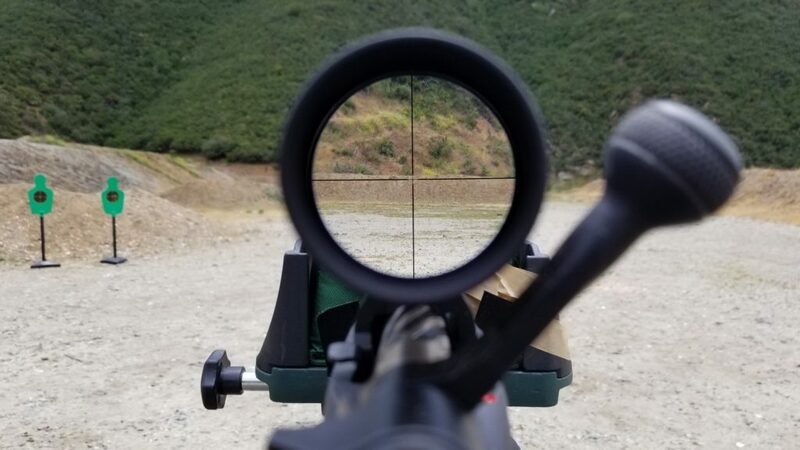 A higher end 1-4x scope with better/clearer glass and a different reticle that excels at both close quarters and distance shooting. Second focal plane. With a better optic, I recommend a better mount as well. What I now run in my competition rifle. The Viper PST II is the best combo of glass quality, forgiving eyebox, and daytime-bright illumination. And get up to 6x zoom of crystal clear glass with almost no side distortion. 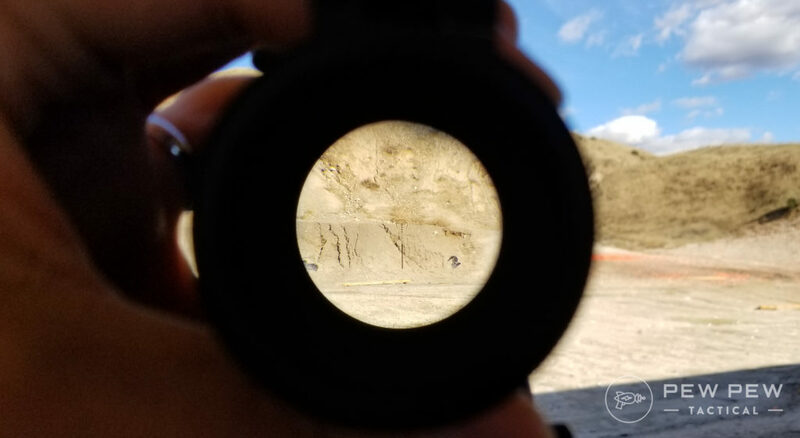 Check out more in our Best 1-6x Scopes article. 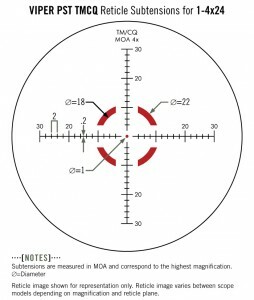 This is the go-to AR rifle scope for rifle competitions when you will be engaging 300+ yard targets and 1-4x just doesn’t cut it. The 1-6x Razor has really clear glass and is built tough. Compared to the others…the glass is much clearer, you have a larger field of view, and a more forgiving eye box (location where your eye is and you will still get the full field of view). If tenths of a second matter in your rifle shooting…this is the one to get. 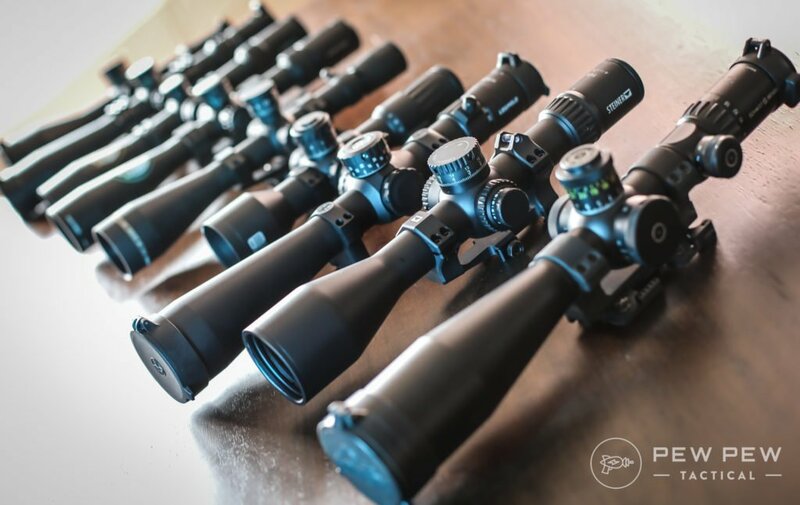 One of our recommended hunting optics (Best Hunting Rifles) where you don’t necessarily need 1x but might need something more magnified. The 3-9x VX Freedom fills this need nicely and at a great price. I’m running it on my 30.06 rifle and so far it’s held up to the pretty large recoil. Glass is very clear at 3x. As well as at 9x. The Freedom takes over from Leuopold’s venerable VX-1 scope which we previously recommended. If you don’t mind it being phased out, there could be some good deals there. It was really hard choosing my favorite “long range scope” for the AR-15. Normally I think of them as 5-25x scopes but that’s a little too much magnification for the 5.56 cartridge. 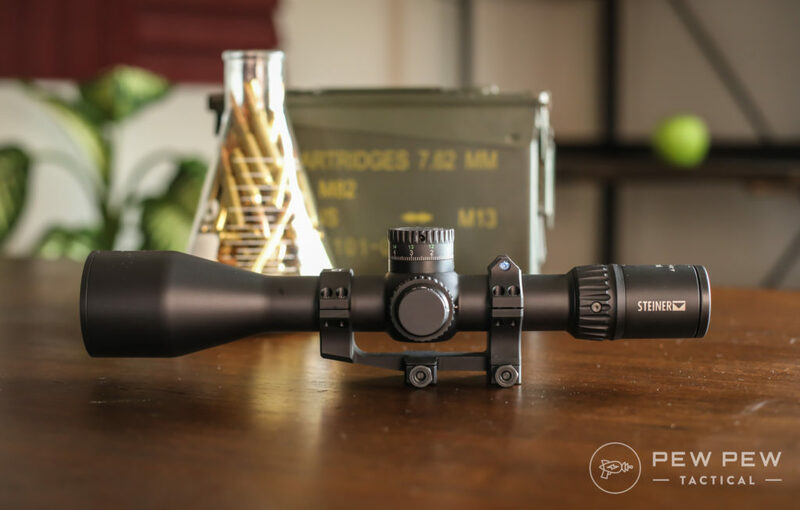 So I went with my favorite 4-16x scope…the Steiner P4xi from my Best Long Range Scope article. It has SUPER clear glass that no pictures can do justice (and a nice reticle). Plus great turrets, passes the tracking test, and a nice feeling magnification ring. Now that you have your primary sight, you’ll need some backup sights in case your primary breaks, runs out of batteries, or just falls off. For 99.99% of their life, they will live flat underneath your scope. But if something happens to your primary…you’ll wish you had these to flip up! These polymer Magpul BUIS ($80) paved the way for back up sights to become mainstream. Affordable and still plenty accurate when you need them. The latest iteration from Magpul, the MBUS Pros ($160) is steel instead of polymer to survive anything you can throw at it. 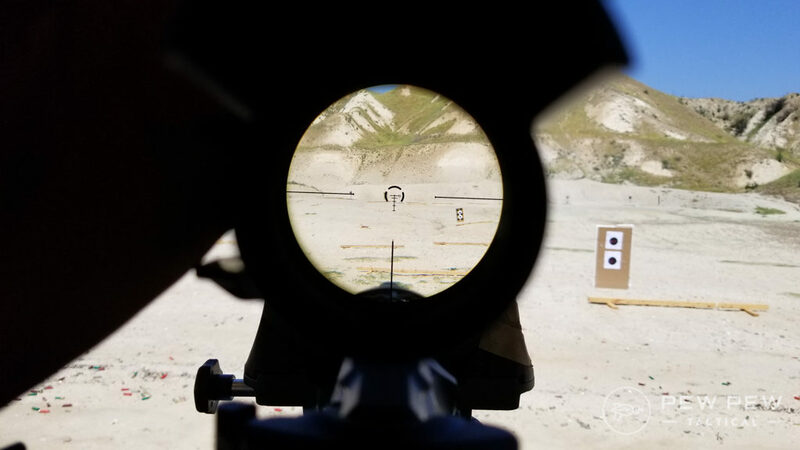 Maybe not for everyone, but if you’re competing and don’t have time to switch your AR-15 scope back to 1x…these offset sights ($25) will help you get a better time. All you need to do is tilt your gun and you have these ready for close targets. And of course…now we have full in-depth reviews of both Backup Irons Sights and Offset Iron Sights. Now that you’ve seen everything for the AR-15 from red dot sights to ACOG’s and variable optics, what will you choose for your purpose? 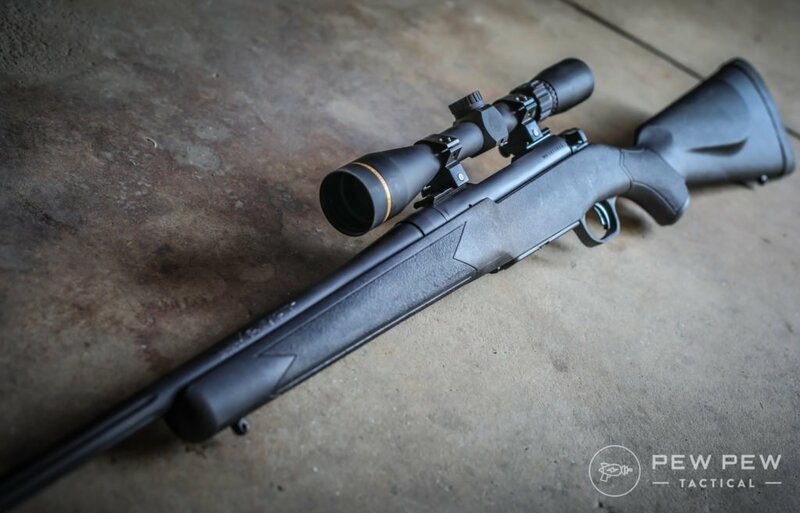 Check out more in our Gun & Gear Reviews. on the offset irons, is there a left handed version? Dueck offers a left-handed version but I’ve not heard great feedback about them, especially since they are so very pricey. Most of the left-handed shooters I know that run off-set sights use a 45-degree offset Pic rail and a micro red dot. 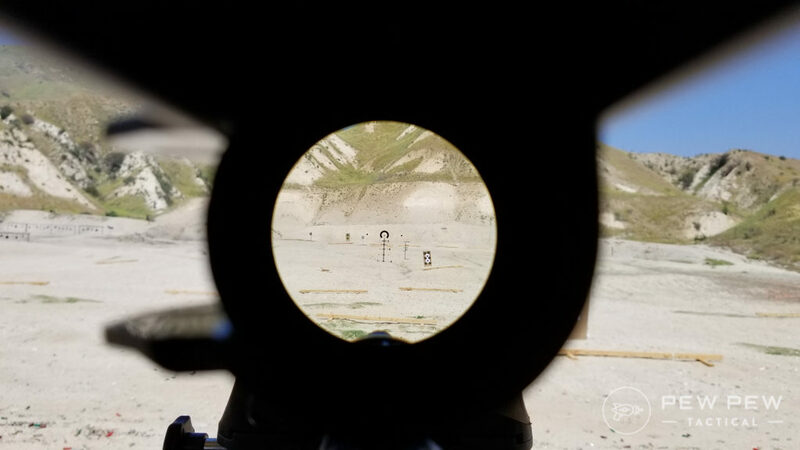 Why Are there no Trijicon optics on your list ? The ACOG is built by Trijicon and is on the list! 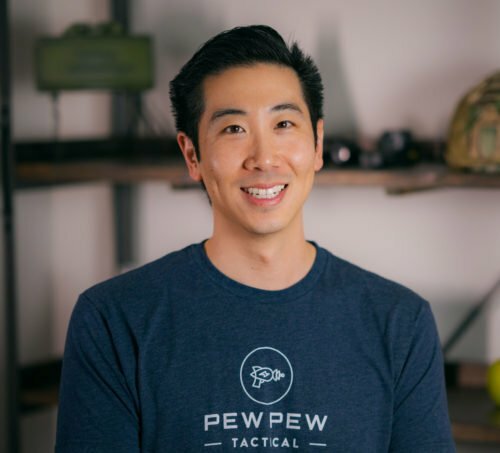 Hello Mr. Hung, I red a lot of your publications on pew pew tactical, and I really like it, especially for the AR platform. Being a knew owner of a AR-15, precisely the S&W MP15 Vtac II, looking to upgrade for a optic in the vortex spitfire 3x line. My question is have you tried the Bushnell AR750010? Or do you have any other option? Thanks for all your time and effort of doing all those chronicles, it is very interesting and useful. Sorry for the awkward English, I live in Quebec. Regards….